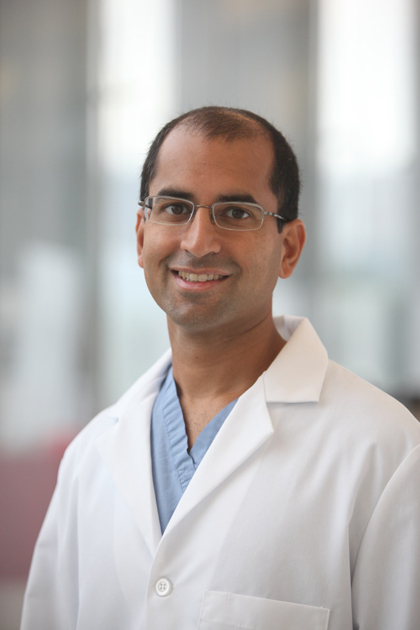 Ajay J. Kirtane, MD, SM, is Associate Professor of Medicine at Columbia University Irving Medical Center (CUIMC) and Director of the Cardiac Catheterization Laboratories at NewYork-Presbyterian (NYP) Hospital / CUIMC. Dr. Kirtane is an internationally-renowned leader in Interventional Cardiology, specializing in the care of patients with complex coronary and peripheral vascular disease. In addition to his clinical commitments, Dr. Kirtane has a strong interest in clinical education and research, serving as Chief Academic Officer of the Center for Interventional Vascular Therapy. He is a co-director of the Cardiovascular Research Foundation’s Transcatheter Cardiovascular Therapeutics conference, has served as a director of several international, national, and regional educational conferences, and has participated on the program committees for the scientific sessions of both the American College of Cardiology and American Heart Association. Dr. Kirtane’s research interests are in clinical trial methodology and outcomes of device-based and pharmacologic interventions in Interventional Cardiology. He has authored over 300 original manuscripts and over 80 reviews and editorials including the “Coronary Stenting” chapters of the two most widely used textbooks in Interventional Cardiology. He is/has been Principal Investigator and serves on the steering committees of several clinical trials in interventional cardiovascular medicine. Born in Brooklyn, New York, and raised in Bergen County, New Jersey, Dr. Kirtane is a graduate of Princeton University and Columbia University College of Physicians and Surgeons, and completed his residency/chief residency in Internal Medicine at the University of California – San Francisco. He then completed fellowships in Cardiovascular Disease and Coronary and Peripheral Vascular Intervention at Beth Israel Deaconess Medical Center / Harvard Medical School and additionally obtained a Masters of Science in Clinical Epidemiology from the Harvard School of Public Health prior to moving back to Columbia. In his free time, Dr. Kirtane has avid interests in running, tennis, skiing, and music, and lives in New Jersey with his wife, 2 children, and their dog Oliver. Dr. Kirtane’s research interests are in clinical trial methodology and outcomes of device-based and pharmacologic interventions in Interventional Cardiology. He is/has been Principal Investigator for several multicenter trials of interventional devices and serves on the steering committees of several large-scale clinical trials in interventional cardiovascular medicine. Kirtane AJ, King SB 3rd. Should all stent patients have prolonged dual antiplatelet therapy? JACC Cardiovasc Interv. 2015 May;8(6):873-5. Kirtane AJ, Kelly CR. Clearing the air on the "smoker's paradox". J Am Coll Cardiol. 2015 Mar 24;65(11):1116-8. Kirtane AJ, Stone GW. STEMI care in China: a world opportunity. Lancet. 2015 Jan 31;385(9966):400-1. Kirtane AJ, Leon MB, Ball MW, Bajwa HS, Sketch MH Jr, Coleman PS, Stoler RC, Papadakos S, Cutlip DE, Mauri L, Kandzari DE; ENDEAVOR IV Investigators. The "final" 5-year follow-up from the ENDEAVOR IV trial comparing a zotarolimus-eluting stent with a paclitaxel-eluting stent. JACC Cardiovasc Interv. 2013 Apr;6(4):325-33. Kirtane AJ, Leon MB. The Placement of Aortic Transcatheter Valve (PARTNER) trial: clinical trialist perspective. Circulation. 2012 Jun 26;125(25):3229-32. Kirtane AJ, Stone GW. How to minimize stent thrombosis. Circulation. 2011 Sep 13;124(11):1283-7. Kirtane AJ, Gupta A, Iyengar S, Moses JW, Leon MB, Applegate R, Brodie B, Hannan E, Harjai K, Jensen LO, Park SJ, Perry R, Racz M, Saia F, Tu JV, Waksman R, Lansky AJ, Mehran R, Stone GW. Safety and efficacy of drug-eluting and bare metal stents: comprehensive meta-analysis of randomized trials and observational studies. Circulation. 2009 Jun 30;119(25):3198-206. Kirtane AJ, Ellis SG, Dawkins KD, Colombo A, Grube E, Popma JJ, Fahy M, Leon MB, Moses JW, Mehran R, Stone GW. Paclitaxel-eluting coronary stents in patients with diabetes mellitus: pooled analysis from 5 randomized trials. J Am Coll Cardiol. 2008 Feb 19;51(7):708-15. Jeremias A, Kirtane A. Balancing efficacy and safety of drug-eluting stents in patients undergoing percutaneous coronary intervention. Ann Intern Med. 2008 Feb 5;148(3):234-8. Kirtane AJ, Piazza G, Murphy SA, Budiu D, Morrow DA, Cohen DJ, Peterson E, Lakkis N, Herrmann HC, Palabrica TM, Gibson CM; TIMI Study Group. Correlates of bleeding events among moderate- to high-risk patients undergoing percutaneous coronary intervention and treated with eptifibatide: observations from the PROTECT-TIMI-30 trial. J Am Coll Cardiol. 2006 Jun 20;47(12):2374-9. Kirtane AJ, Martinezclark P, Rahman AM, Ray KK, Karmpaliotis D, Murphy SA, Giugliano RP, Cannon CP, Antman EM, Roe MT, Harrington RA, Ohman EM, Braunwald E, Gibson CM. Association of smoking with improved myocardial perfusion and the angiographic characterization of myocardial tissue perfusion after fibrinolytic therapy for ST-segment elevation myocardial infarction. J Am Coll Cardiol. 2005 Jan 18;45(2):321-3.